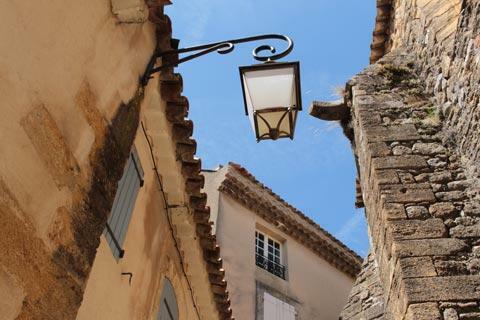 Lourmarin, one of the 'most beautiful villages of France', is 20 kilometres south of Apt and in the southern part of the Regional Natural park of Luberon in Provence. Lourmarin has been settled for at least a thousand years, and the site was possibly previously occupied as a Neolithic campsite. 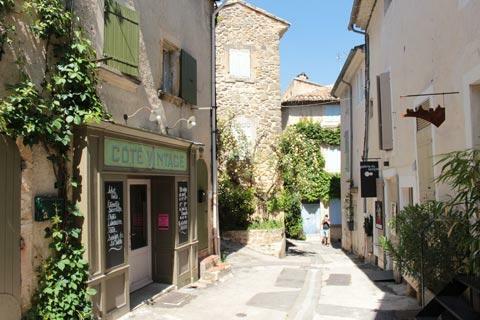 France This Way comment: it is quite small but the combination of the historic village and the castle make Lourmarin one of our favourite Luberon villages. 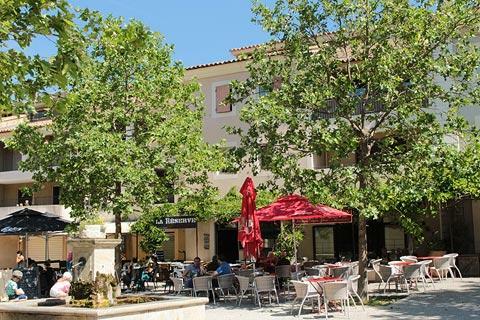 The main car parks for Lourmarin are both to the north of the centre of the village, and from these you will enter the village in Place Henri Barthélémy - ideal because this is the square where Lourmarin Tourist Office is situated, and you can ask for a map of the village showing the main points of interest. 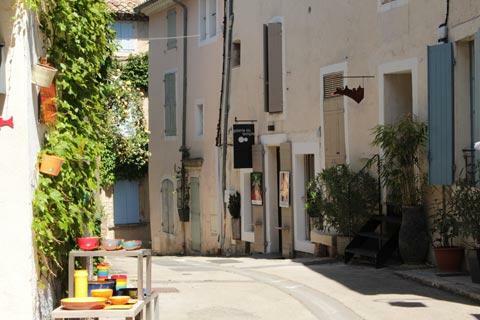 Lourmarin village itself is very attractive, with lots of narrow winding Provençal streets, many too narrow or too steep for cars to ever pass, meandering past centuries old houses. There are also two interesting churches in the village centre, one catholic and one protestant. 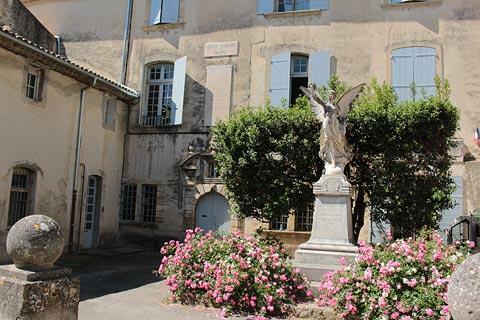 As soon as you enter the village you can see one of our favourite houses in Lourmarin: the house of Philippe de Girard in the avenue of the same name, an 18th century house with a statue and flowers in its courtyard. A few yards beyond here you reach a charming small square with a fountain. A larger square, the Place de l'Ormeau, is a little further and contains various shops and cafes. Don't waste your time looking for the elm tree that gave the square it's name: it was cut down in 1944! 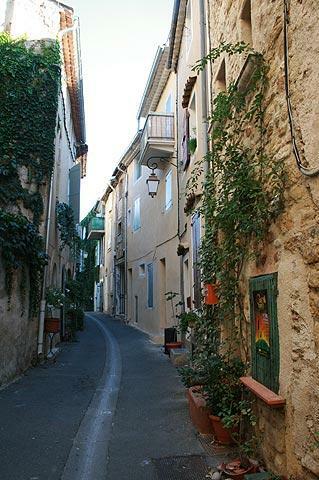 You will certainly want to stroll along Rue Henri Savernin from here, it is one of the most important streets in the heart of Lourmarin. After a short distance take a diversion to the left to stroll along the Rue de la Fontaine Couverte, along the side of a stream. This tiny street is very pretty and almost undiscovered by visitors. 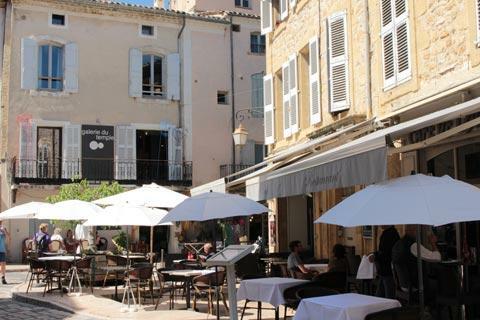 Returning to Rue Henri Savernin, cross the street and pass into the heart of the old town. Here you will discover the belfry (although it is extremely well hidden behind other buildings!) 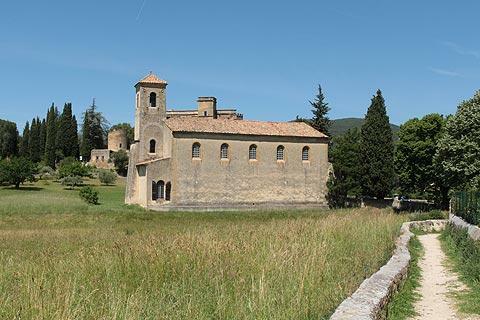 and the catholic Church of Saint-Andrew and Saint-Trophime. 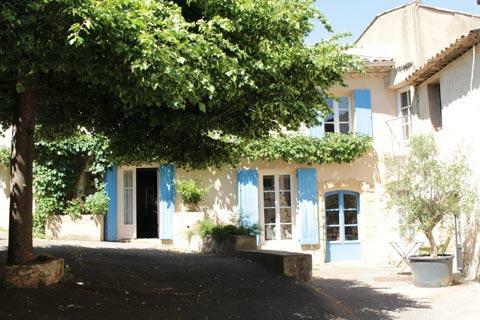 Although it is not in an elevated position like many of the villages in the Luberon, Lourmarin is on a small hill and from the village there are attractive views and you can see the Loint Bastiden a large fortified farmhouse dating from the Middle Ages. 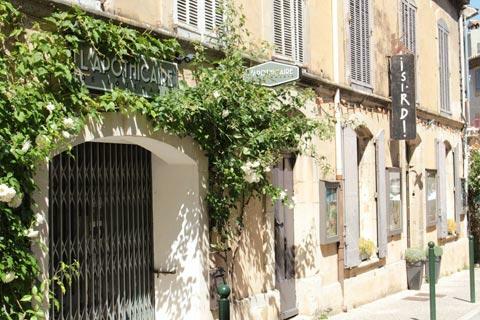 The town also has a reputation for attracting artists - it's most famous inhabitant was Albert Camus who lived here and is buried in the Lourmarin cemetery. 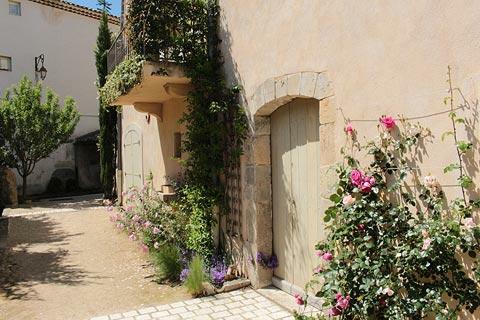 After exploring the centre of Lourmarin you can follow a marked 'tourist path' around the edge of Lourmarin. 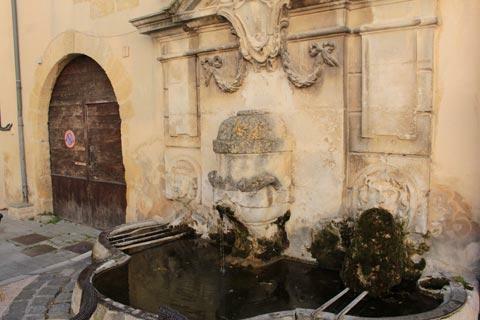 After circumnavigating the village - in one place passing through a vey small passageway - the path takes you passed a fountain with three heads and the protestant church and out towards the castle. The village as we see it today came into being with the building of a castle here: it was constructed in the 12th century, and subsequently replaced in the 15th century and improved in the 16th century. 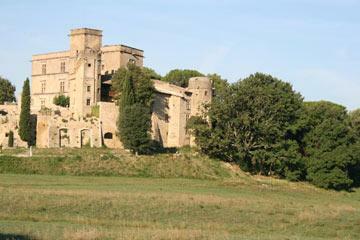 You will notice that the castle is slightly outside Lourmarin village, not in the centre as you might expect. 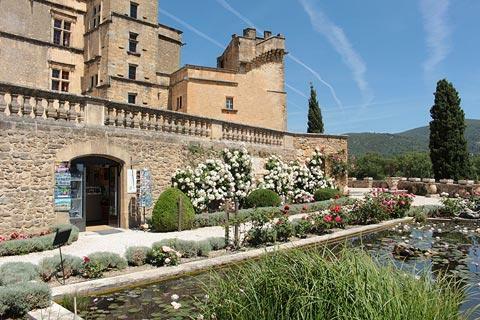 This renaissance period castle also incorporates an olive grove and park as well as a wine shop and is open to visitors: see Chateau de Lourmarin. 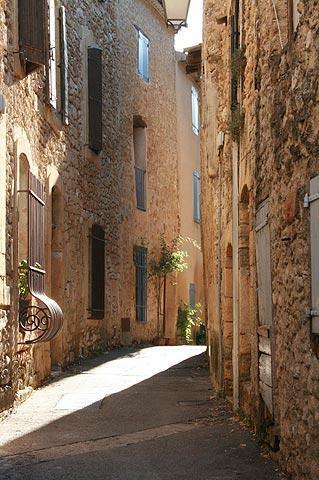 There are numerous picturesque villages in the Luberon region that you will discover as you explore. 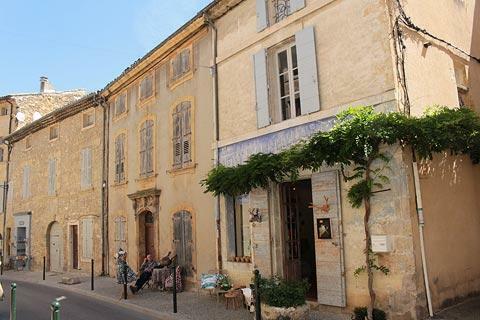 Among our favourite villages close to Lourmarin we recommend in particular that you visit Ansouis and Lacoste and also the golden village of Roussillon and its ochre mines.